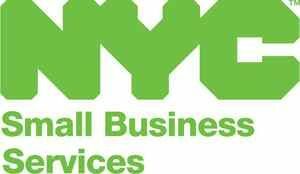 Queens Economic Development Corporation is proud to be a member of the 2016-2017 M/WBE Leadership Association, a group of business service organizations helping the New York City Department of Small Business Services promote and foster the growth of local minority and women-owned businesses through certification and capacity-building services. Does your firm sell goods or services that the government buys? Interested in getting certified as a Minority or Women-owned Business Enterprise? (M/WBE)? Want to learn how to compete in the government marketplace? We can help. As a select member of the New York City Council-supported 2016-2017 M/WBE Leadership Association, The Queens Economic Development Corporation has the tools, knowledge, and experience to get you started. Call us today at 718-263-0546 or email Ricardi Calixte at rc@queensny.org. QEDC will be offering MWBE certification workshops in Queens and Nassau Counties. Additionally, we offer FREE one-on-one technical assistance with completing and submitting the MWBE application. Orientation sessions are offered once a month. Visit our Events Calendar to find out more about our upcoming M/WBE events. To learn more about NYC Certification visit www.nyc.gov/getcertified.